so she is actually giving up the letter "e"
Interesting that you don't like your moleskine - I just succumbed and bought my first one from Amazon because I needed a little something else to get free shipping. Like you I've heard people rave forever, so I totally expected to love it. But, yellow paper? I was so surprised! I don't remember anyone ever mentioning that and I'm not so sure I like it. At all. But, I bought it to take on vacation and see if I'd like sketching in it - it is a handy size. So, I dabbed a little paint etc on a few pages to break it in and we'll see how it goes. Hope you manage to avoid the worst of the flu. Sounds like you're doing all you can - i've got fingers crossed! Be well my friend! My only experience of Moleskine was with the Sketchbook project thing. The paper was so thin that it practically fell apart if I sneezed on it. Apparently the ones with the purple on are the best for holding paint. They are very expensive though aren't they, and in the shop they are sealed in plastic so you can't even look at the quality - sneaky! Hope Phantom feels better soon. Hugs. And I thought there was something wrong with me because I don't like moleskins (or skinning moles), and like Lisa I find it cheeky to sell a book of this type sealed so you can't judge the paper. Hope Phantom improves quickly. Didn't somebody write a whole book without using the letter 'e'? Stay well my friend - sometimes the "nurse" gets so worn out that bugs slip in!!! I have Moleskine wc journals - I like them (they were on sale with free ship) and I like them - but because they were expensive I hate to "mess" them up! Don't remember them being yellow - will have to get them out and look. Great minds think alike. I only realised this week that I don't like moleskines either after one of my pencil drawings was wrecked. And yes, what's up with the yellow paper? I have now bought a sketchbook dirt cheap and the paper is a heck of a lot better. I look forward to seeing more of your work and in zine form too! Your non-beautiful post was so entertaining to read! Those moleskines are like drawing on a thin manilla folder. I was surprised by the paper and don't like it. I bought one of the watercolor moleskines at the same time and don't care for it, either--thin buckly WC paper. Have trouble with bleed through on both of them and will never buy a moleskine again. Wondered what the heck the hype was all about. Sorry the crud has hit you there. Be well. Tell Phoebe good luck. What a wonderful project to get involved with! I like the sketch. It looks good but I can well understand how you feel about the yellow paper. I have a similar issue at the moment with some paper I gessoed which is cool but drives me bonkers as graphic smears all over the place when it is not meant to LOL It is so strange to think other places are only just starting spring when our minds in Latvia are contemplating " when will the stores bring out the autumn / winter jackets for the kids" - as they grew like bean sprouts since March. Personally I don't like anything that resemble beige in anyway! !So you have my vote, pure white all the way for me!! Hope you both feel better real soon and Phantom perks up!! I can't even keep a green onion alive...I don't care to either!! A outdoor flower has a better chance than anything indoors!! If it doesn't have color it gets ignored. Tell Phantom to give up chocolate for a short while and call it a day!! Anyone can relate to that hard task!! Who is very glad you popped in to do a blog!! Poor Phantom...what a shame...I do hope she's feeling better soon. Okay so at least I don't have to buy a Moleskine now that I hear everyone's verdict...there's so many other things on my list so that's a help! By the way....the Apothecary jar is fantastic. 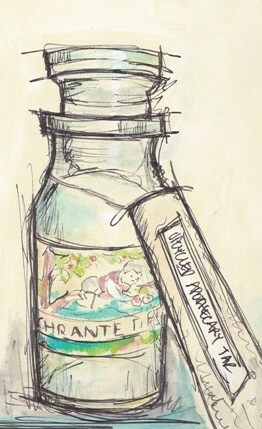 Fun post and I love your apothecary jar too- beautiful, delicate work! I've been taking a bloggy break too and can't wait to get back to it! I'm glad Phantom is on the mend and you stay well too! Like everyone else, I've heard the raving over Moleskin journals, and I'm so glad I read this post and its comments before purchasing one. The beige paper sounds positively dreadful. I'll spend the money on some other art supply. I bought a moleskine for the sketchbook project and won't fall for it again. It was so thin, I had to glue 4-5 pages together! I like your sketch this week, and I hope you avoid the flu! hope that all around wellness is in the air at your house now dear Tracey! 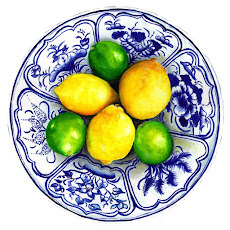 thank you for your kind offer of Passionflower recipes...I fear our season is not long enough for the fruits to ripen. Several years ago I had a vine that did bear fruit (BOY was I ever excited about that!!!) ... but Autumn came and that was that, they never had a chance to ripen. I am crazy for the delicate fragrance the blooms have and was tickled that cutting a flower and floating it in water lasted longer than the one day on the vine. Next year I hope to branch out to a more exotic and frilly variety...oh sorry you got me all excited with your Passionflower comment on my Magpie's Nest! I love your sketch in it but i sooo agree with you about moleskins, i have been covetting one forever and then i gOt one and hate it, i also didn't get a watercolor one and should have but the paper is just yucky in almost Everyway so i gave it up. My favorite so far is just a visual journal but i keep reading danny gregory's blog and he talks about a few other kinds i may try. Missed your posts by the way! 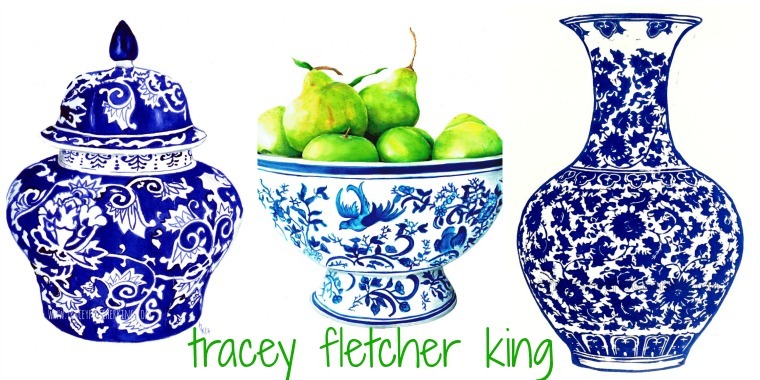 Beautiful art as always Tracey...gorgeous work! and aww..i hope Phantom is feeling all sparkling and bright real soon! Take care my friend..and as always you dazzle me , you are such a creative writer..you make me smile with such wit and natural talent!! Glad to have an update - been missing you around blogland. Hoping poor Phantom is on the mend. Don't feel bad about your poor nursing qualities - you are not alone there. Thankfully there are people in the world that do excell in that area. You'll have to find another creative way to fill that moleskin. I do like them myself, but then I don't paint in them. Continue your happy break and know that you are missed. I still haven't quite worked out what a moleskin journal is. They seem to be very popular, but I've never really seen one...I don't think so, could be that I don't know what I'm looking at. Being a cheapskate, I've started my journal in a Monte Marte sketchbook, which surprisingly I have found really good. A little weak in the binding, but the paper will support my watercolours at only 150gsm (which is better than the standard 110gsm for sketchbooks). Argh, the flu. we have been cursed by the same this week. hubby has is it bad and it seems to come with a complimentary dose of conjunctivitis - two kids and Hubby have had it. I will be quite happy to see the end of this winter, I think. Hope your phantom gets better asap.